4/20/2013: A fast paced quick read. For those not familiar with Mr. Doctorow and his beliefs I suggest you Google him; he is a very interesting individual. I caught him being interviewed on Triangulation on TWiT, via my Roku.Published in the spring of 2008 the topics in this book are amazingly timely right now with the Boston Marathon Bombing and the CISPA (Cyber Intelligence Security and Protection Act) legislation just passed by Congress. The point of the story is very simple: How much of your freedom and privacy are you willing to give up to be 'safe'.If you are interested CISPA and technology then I highly recommend this book. It is very accessible for non-techies.NOTE: For those who use eReaders Mr. Doctorow's ebooks are DRM-Free. You may get them a B&N, Amazon, etc...I went to his site - craphound.com - and downloaded them. 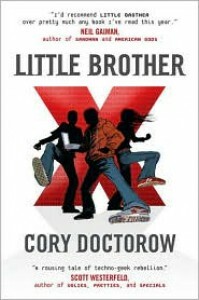 For "Little Brother" Mr. Doctorow asked that I purchase a DTB copy for a teacher and school on a list he maintains. I complied with Mr. Doctorow's wish.4/15/2013: With CISPA getting voted on (and, if passed, further eroding our privacy - Big Brother?) 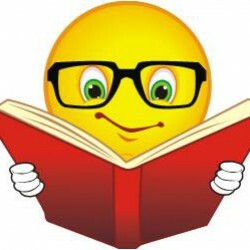 and a terrorist attack at the Boston Marathon this is an interesting time to start my first Cory Doctorow novel.